Marketing is an essential tool for any business – regardless of how good the product or service is, it needs marketing in order to build a clent base. The media, technology and platform environment for marketing is becoming more diverse, and more complex, with integrated channels, and so more education and training is required to understand the field. So a marketing degree has become a high demand, profitable qualification. But what is studied in marketing online programs, what do employers expect and what jobs can you expect to get? This page provides information on these questions and also provides links to other resources and schools where you can find out more. Since a masters degree is really needed in order to progress in this field, you should also check out a masters in marketing. 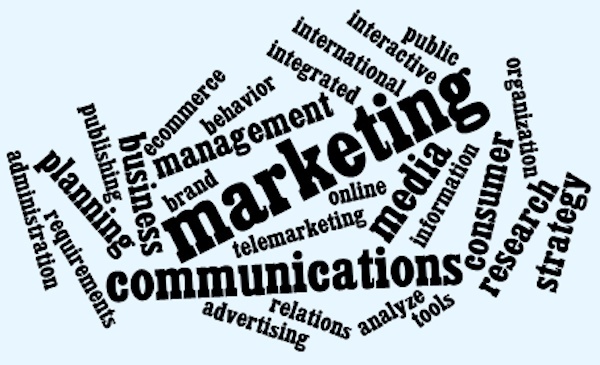 What is studied in marketing degrees? Marketers need to start with research. So students in marketing programs online learn how to collect accurate information and analyze market potential. You also learn how to identify customer needs in different countries and cultures, and to design, develop, implement and manage effective marketing strategies to meet those needs. Courses include: communications, mass communications, product pricing, e-commerce, advertising, public relations, telemarketing, international marketing, brand management, consumer behavior, consumer research, publishing, and interactive marketing. Marketing is often studied as part of a business administration program, and so you would acquire knowledge, practical and professional skills in other aspects of business, in addition to marketing. It is also often studied as a specialization in a Bachelor of Science in Communication degree – as is the case for the Marketing Communications program at Walden University. In this program you are provided with the knowledge and skills required to support the marketing initiatives of any organization through integrated communications. You also learn how to tackle the challenges of communicating in a globally diverse market with different regulations and media requirements and learn how to use media planning and modeling tools to develop a media strategy and plan with the widest reach and impact. There is sometimes a requirement to do an internship in a masters or bachelor’s degree marketing. Marketing is an essential tool for any business, so a marketing degree is a high demand, profitable qualification. Marketing is often taken as a major, specialization or concentration in a bachelor of business administration or other business degree, so graduates are prepared for marketing and a wide range of other positions in business. Because marketing science is applicable to the problems of the public sector as well as the private sector, graduates are also prepared for positions in government, military and non-profit organizations. Graduates can start a marketing career in advertising, product/sales, management, marketing research/teaching, business management, consultancy.